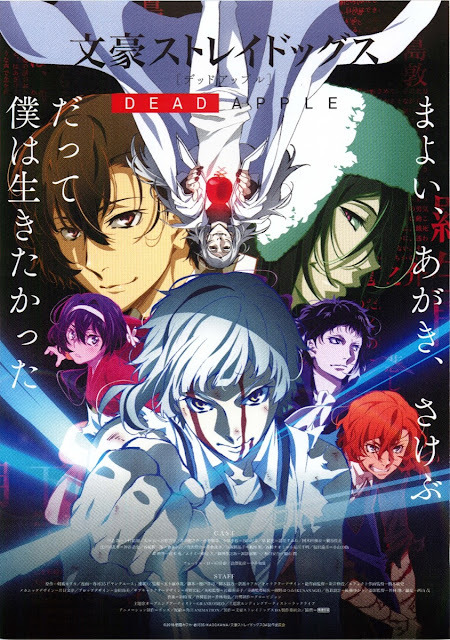 PennsylvAsia: Bungo Stray Dogs: Dead Apple (文豪ストレイドッグス Dead Apple) in Pittsburgh, from May 2. Bungo Stray Dogs: Dead Apple (文豪ストレイドッグス Dead Apple) in Pittsburgh, from May 2. Atsushi and Kyouka infiltrate Shibusawa’s fortress, where they are met by Akutagawa, who delivers an unthinkable truth. The movie was the seventh-highest grossing movie in Japan its opening weekend of March 3. It will play in Japanese with English subtitles. Tickets and showtime information are available online via the theater's website.